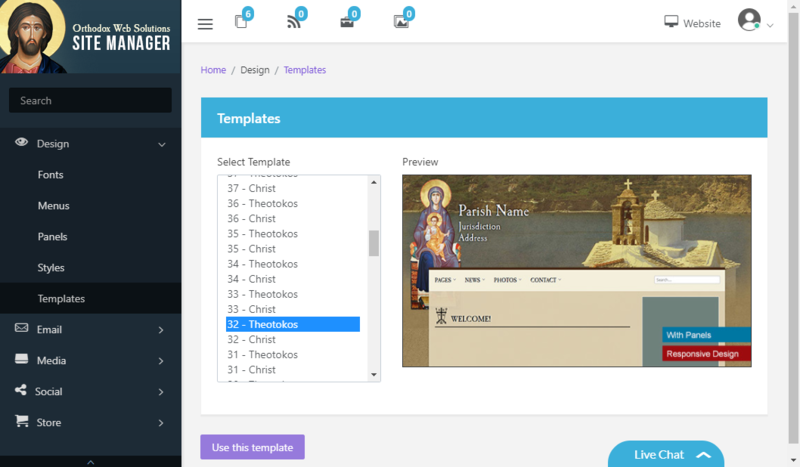 Now that you have set your church's profile, you should select the template you wish to use for your website. The Site Manager is preloaded with a variety of templates for your use, each with its own design and color scheme. These templates are shared by all our subscribing churches, but each church will be able to distinguish itself by choosing its own fonts, colors, images, and other stylistic features. We also offer custom site design for those churches who want a unique look to their website. To select which template your website will use, go to "Design" -> "Templates".